HSSC has Declared Result 2017 for JE ( Horticulture ) (Advt. No. 2/2015 Cat 08) Written, Interview Marks Details Roll No wise. 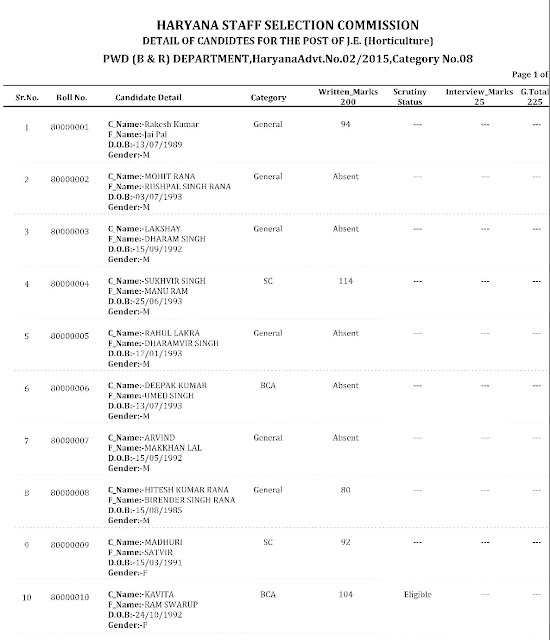 Details of Candidates for the Post of J.E. 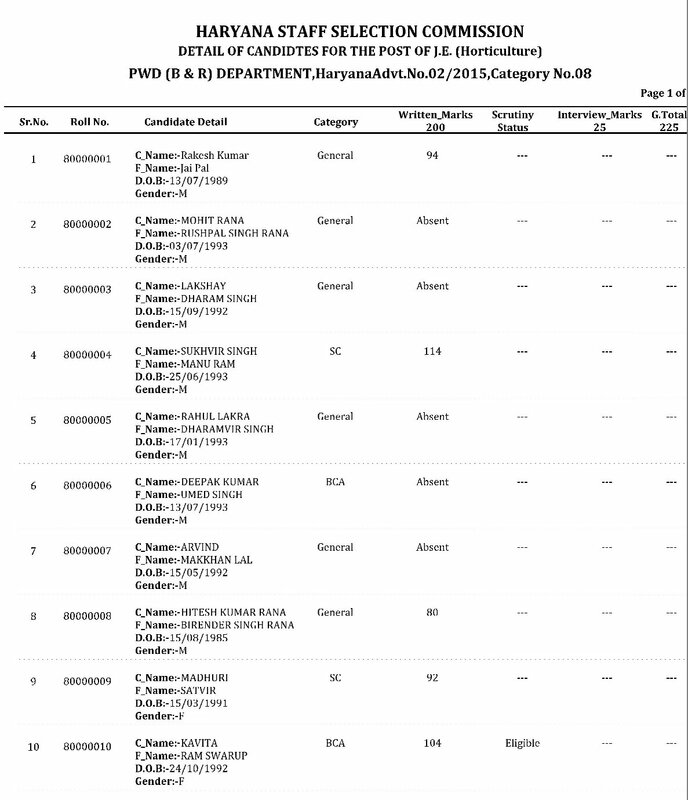 (Horticulture) PWD (B & R) Department ,Haryana Advt.No. 02/2015, Category No.08.